All An Act - Theatre Lives Here! 2019 Season Tickets go on Sale opening night of "You Can't Take It With You"! Save 20– 28% Pick any 6 out of 7 Shows! One Low Price! Mysteries, Drama, Hysterical Comedy, Side-Splitting Farce! We have it ALL! Find out why All An Act Theatre has Erie's BEST Entertainment Value since 2004! From the Mistress of Suspense! When a house party gathers at Gull's Point, the seaside home of Lady Tressilian, Neville Strange finds himself caught between his old wife Audrey and his new flame Kay. A nail-biting thriller, the play probes the psychology of jealousy in the shadow of a savage and brutal murder. A carefully unpeeled investigation before our eyes brings the story to a pointed ending. **Produced through special arrangement with Samuel French Library, Inc. New York, NY. 1939 Hollywood is abuzz. Legendary producer David O. Selznick has shut down production of his new epic, Gone with the Wind, a film adaptation of Margaret Mitchell's novel. The screenplay, you see, just doesn't work. So what's an all-powerful movie mogul to do? While fending off the film's stars, gossip columnists and his own father-in-law, Selznick sends a car for famed screenwriter Ben Hecht and pulls formidable director Victor Fleming from the set of The Wizard of Oz. Summoning both to his office, he locks the doors, closes the shades, and on a diet of bananas and peanuts, the three men labor over five days to fashion a screenplay that will become the blueprint for one of the most successful and beloved films of all time. *Produced through special arrangement with Dramatists Play Services New York, NY. Jerry Sloan is a successful writer of advertising jingles married to an equally successful lawyer. Living with the happy couple is the not so happy Abe Dreyfus, Jerry's curmudgeon of a father in law. Abe is a funny guy to the audience, not to Jerry. The situation is exacerbated when Jerry's mother Mildred looses her house in a fire and needs a place to stay. Abe and Mildred can't stand each other. This play is one hilarious confrontation after another until the heart- warming finale in which the oldsters discover that, really, each is not so bad. Our 7th Annual Student Production! To further the acting experience of Erie’s talented youth, All An Act Theatre is pleased to partner with The Footlights Theatre Program to present our 7th Annual Student production. Mortimer Brewster, is a drama critic who must deal with his crazy, homicidal family including his two aunts, and cousin that thinks he’s Teddy Roosevelt. Elaine Harper, who lives next door and is the daughter of the local minister. Winner of the 1981 Pulitzer Prize and the New York Drama Critics Circle Award. The Magrath sisters have gathered to await news of their grandfather, who is living out his last hours in the hospital. Lenny, the oldest sister, is unmarried at thirty; with no marital prospects. Meg, the middle sister, is back after a failed singing career on the West Coast; while Babe, the youngest, is out on bail after having shot her husband in the stomach. Winner of the Louis B. Mayer Award. Picking up where the famous stories ended, the play centers on a death threat against Sherlock Holmes by the supposed son of his late nemesis, Professor Moriarty. 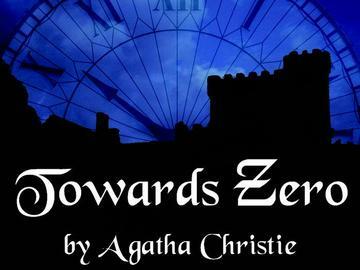 The plot twists and turns until Holmes finds himself imprisoned in a dank cellar. After Holmes' demise Watson comes into his own, until a number of impostors turn up claiming to be the real Sherlock Holmes. In sorting all this out the play mixes humor and suspense in equal amounts, leading to a stunning final twist that will surely catch audiences by complete andbreath-stopping surprise. Successful Long Island businessman Joe Benjamin is a modern-day ‘Job’ with a demanding wife, ungrateful children, and wise-cracking household employees. The jokes and Tests of Faith fly fast and furious as Neil Simon spins a contemporary morality tale like no other in this hilarious comedy. 2019 Season Tickets - Valid for one admission to six different shows. May not be used beyond the 2019 season. May not be used for more than one person. No refundson pad tickets.